The Private-Public Partnership (PPP) initiative is not suitable for the Hambantota Port, Chief Opposition Whip and JVP Leader Anura Kumara Dissanayake said. He was participating in the Second Reading debate of ‘Budget 2017’ in Parliament yesterday. He pointed out that handing over 80 percent of ownership to the Chinese company while retaining 20 percent with the Ports Authority is no different to selling the Hambantota Port. “Minister Arjuna Ranatunga said a USD 1.5 billion loan had been obtained to construct Hambantota port, and that the asset value after construction was USD 550 million. That means the money obtained from loans had not been properly invested for the project. 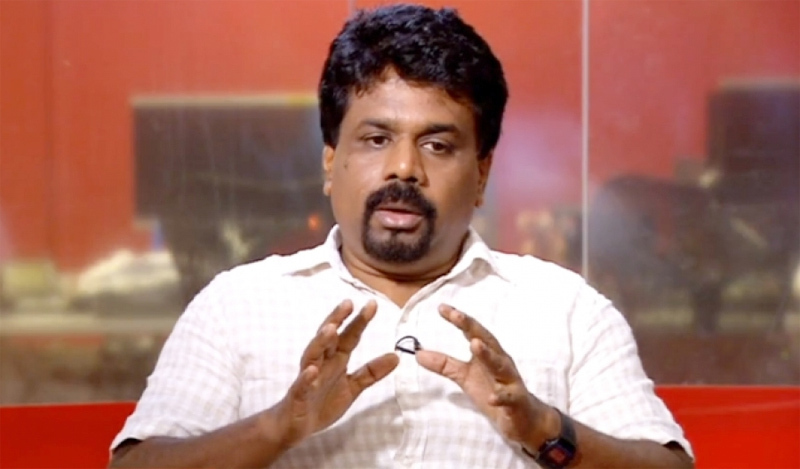 However, the general public is not responsible for that,” Dissanayake. “The Government should investigate what happened to this money and take steps to recover it from those responsible. Contrarily, the Government is selling the asset to shelve the debt. The intention of this PPP initiative is not the development of port, but finding money,” he said. The MP also criticised the Government’s PPP initiative for the East Container Terminal of the Colombo Port. “The Government renovated it spending a large sum of money. Its strategic location is important to the country. Instead of making use of this asset, the Government is going to handover 85 percent of its ownership to India while retaining 15 percent with the Government” he said. He also questioned as to why SriLankan Airlines’ flights to Frankfurt and Paris were stopped when the company was about to be privatised. “November, December and January are the yield months in air travel business. About 6,000 tickets to these destinations had been booked when the flights were terminated. These tickets would be directed to Emirates and Qatar. The Government should not have reduced the capital of company in this manner before privatisation” he said. He also claimed that the proposal to develop the Castle Street Maternity Hospital with private sector investment of Rs 3,000 million is a move to charge money from pregnant women. He also noted that those who were recruited to the Public Service after January 2016 are not entitled to pension, adding that the Contributory Pension Fund has not been established by the Government as promised. “These public servants do not get either pension, EPF or ETF,” he observed. He also criticised the Government’s proposal to give loans upto Rs.800,000 per student to learn at private universities, claiming the Government’s intention would be to expand the market demand for private education.